Knoxville Counselors - Find a Therapist in Tenn. Knoxville Counselors - Find a Therapist in Tenn.
Nicole aims to walk alongside clients on their journey as each individual finds his/her path for who they are becoming. Nicole has worked in a therapeutic capacity since 2012, and brings a passionate, empathetic, and motivated approach to therapy. Nicole strives to create a safe and warm environment where clients are treated with a person-centered and humanistic approach. 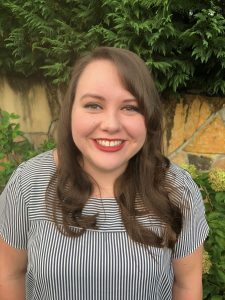 While working in foster care providing trauma-focused cognitive behavioral therapy (TFCBT), Nicole gained a passion for serving and advocating for individuals struggling with grief and loss. She has used a variety of treatment modalities for individuals in highly unstable life situations. Nicole has experience working in inpatient psychiatric care, working with adults with severe and persistent mental illness as well as with children on the Autism Spectrum utilizing the TEACCH (Treatment and Education of Autistic and Communication related handicapped Children) model. While trauma informed care, grief/loss, and spectrum disorders are her specialties, she also has experience working with anger management, mood instability, behavioral disorders, thought disorders, and co-occurring disorders in children, adults, and the geriatric population. Nicole received her Masters in Clinical Psychology from Wheaton College. Yvonne is devoted to helping her clients recover and be fulfilled. Her goal for each client is to reach their potential, cope well with their challenges, and achieve their dreams. She uses a variety of techniques with a foundation of evidenced-based practices to assist her clients in their current circumstance. Yvonne has been fortunate to have worked in the profession that she is passionate about for over thirty years. She has worked as a psychotherapist in outpatient clinics, in natural disaster areas treating trauma and grief, in administration as a trainer, as a school counselor, a school social worker, a consultant for the Florida Dept. of Education, and in a residential center for abused children. She has worked with all ages and is an advanced clinician in her work with children, grief and loss, relationships, family relationships, depression, trauma, anxiety, and a host of other issues. Yvonne was raised on a farm and ranch in western South Dakota where she learned the values of family and work. Yvonne has lived in South Dakota, Wyoming, Florida, and in Tennessee for the last 20 years. 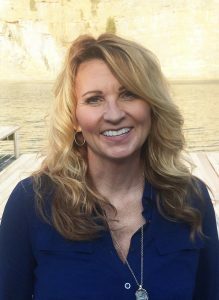 She attained both her bachelor’s and master’s degrees from the University of Wyoming and continues to advance her knowledge in the counseling profession. Employed in the mental health field for more than 20 years, Karen has worked in many settings with persons of all ages. She has experience helping clients with issues such as anxiety, depression, family and relationship challenges, grief/loss, post-traumatic stress, life transitions, developmental disabilities, and end of life issues. Her style is straightforward, and makes use of a combination of theory and technique. She selects her approach carefully to fit her clients' unique life experiences and needs. Karen believes that people do not exist in isolation. Their feelings and behavior are strongly influenced by interactions with others and their environment. As people increase their understanding of their own personal power, they have greater ability to make positive choices in dealing with life's challenges and determining the best direction for their lives. For over 13 years Anne has had the privilege of providing therapy/coaching services to children, adolescents, and adults who have been negatively impacted by varying life circumstances. Anne is passionate about helping clients understand that a diagnosis does not define who they are, but only identifies the patterns they are struggling with. Anne believes “everyone has a story in which each chapter can create different needs and challenges”. She adds, “Therapy/coaching provides a safe and confidential space to process and learn new coping strategies or to change the way we look at those challenges and needs”. Over the years Anne has worked with a multitude of issues including, but not limited to, depression, anxiety, trauma, grief and loss, personality, crisis prevention, anger management, and problems related to abuse and neglect. Anne has provided services to individuals, couples, groups, and families in both community and private practice, as well as inpatient and outpatient settings. 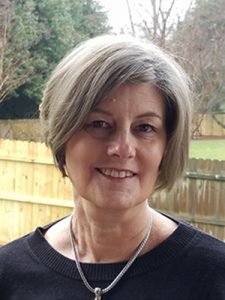 Anne is dedicated to providing the best care possible, she uses various techniques such as; Cognitive Behavioral Therapy, Trauma-Focused Cognitive Behavioral Therapy, mindfulness, solution-focused, client-centered, and schema therapy. Anne’s approach to therapy is one of education and mindfulness. Providing education regarding diagnosis and therapeutic intervention is powerful, it decreases any mystery, therefore diminishing barriers and stigma. Anne received her degree from the University of Tennessee, Knoxville and is licensed in both Tennessee and Florida. She has held positions as both a therapist and an administrator, but feels that her true passion is sharing her knowledge and expertise with the client, facilitating insight, and empowering the client to reach identified goals. When you work with Shannon, you will quickly discover that she has extensive experience with integrative care and treats the “whole” person. Shannon realizes that medical conditions, mental health, and spirituality go hand in hand. She is familiar in working with multidisciplinary teams that may include your primary care physician, specialist, psychiatrist, spiritual supports, etc. Shannon is licensed as a clinical social worker (LCSW) and school social worker (LSSW) in the state of Tennessee. As an LSSW, Shannon also brings an expertise and familiarity of working with school specialists and helping families and children navigate the 504/IEP process. 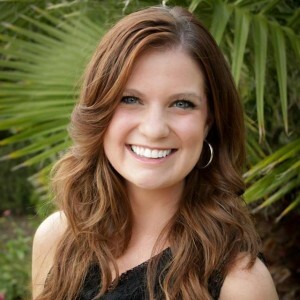 Shannon looks forward to working with you and your family at Thriveworks! I am committed to working with children, adolescents and families who are in the midst of seeking understanding and guidance on the path towards healing. Everyone has a story to tell, and everyone deserves to be heard. I have worked intensely with childhood trauma, adolescent and adult addiction and recovery, and a variety of mood and anxiety disorders. 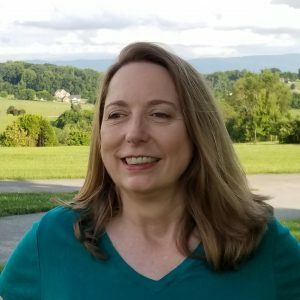 As a Registered Play Therapist with the Association for Play Therapy, my training and experience in Play Therapy for ages 4-12, and Seeking Safety for adolescents and adults helps me connect to clients of all ages using a unique approach. I value the importance of the family system when working with individuals, especially children. You are capable of increasing your emotional safety, and I love helping people on the paths to doing so. I am passionate about working with trauma survivors. People often identify themselves by past experiences. But who you are is greater than what you have done or had happen to you. My faith as a Christian provides the energy for my work, but I have tremendous respect for each person's story and strive to honor the client's differing views and choice on whether or not to incorporate issues of faith or spirituality into therapy. 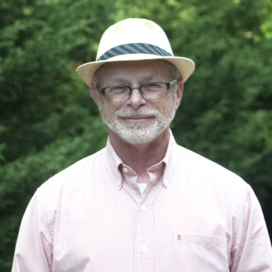 His personal study and continuing education help him keep up-to-date on the latest research in the growing fields of mindfulness-based interventions and positive psychology. He has acquired continuing education from Harvard Medical School and the Mind and Life Institute, as well as regional presentations by leading figures in the field of psychiatry and psychology. In addition, he has presented on mental health related topics himself, including the integration of psychological and neurological functions in this region as well as in Minneapolis, Minnesota, and Seattle. The use of mindfulness-based interventions and the technical eclecticism of positive psychology building on the foundation of neuroscience, enable him to meet the needs of a wide variety of clients. Those suffering with depression, anxiety, excessive worry, grief, emotional instability both chronic and acute, sexual and sexual orientation issues, those with chronic medical illnesses, as well as issues related to interpersonal conflicts and communication may all benefit. These intervention strategies find many correlations with religious or spiritual perspectives and may easily be utilized to strengthen a person's spiritual life but no religious perspective is needed for counseling in this framework to be effective. Neurological principles are effective in any case and are most easily integrated into existing patterns and habits of belief. Feel free to come and explore how to make your life more satisfying and rich. Lindsey Chandler is a licensed clinical social worker in the state of Tennessee. She received her education and training from East Tennessee State University. For the past six years she has been practicing psychotherapy in Bristol, Tennessee at a community mental health agency. Recently, she has returned to her roots in Knoxville, Tennessee. The majority of her experience has been working with adults of all ages that are seeking recovery from a wide variety of mental health concerns. She takes a holistic view of therapy, exploring all areas of life that affect the person and their environment. During therapy sessions, Lindsey uses an assortment of evidence-based techniques relevant to the presenting problem. 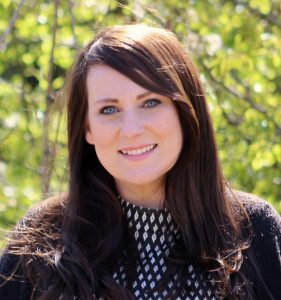 Lindsey has extensive experience working with domestic violence survivors, new parents, individuals struggling with chemical dependency, and family members affected by addiction. Lindsey understands that change can be intimidating. She is a firm believer in the saying “when the pain of staying the same becomes worse than the fear of change, we change.” Thank you for considering Lindsey to be a part of your healing journey, and she looks forward to meeting you! 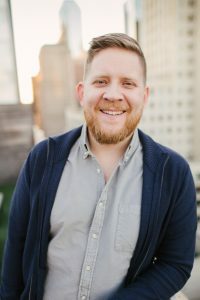 Justin Hall is a licensed professional counselor with a mental health service provider designation and over a decade of experience in the helping professions. 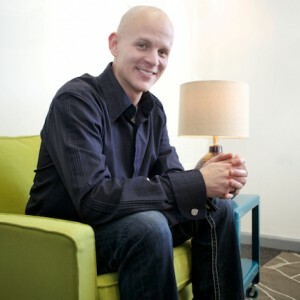 He is a Knoxville native, and he obtained his Master’s degree in Counseling from the University of Tennessee. Justin has been a successful psychotherapist in outpatient, hospital, residential and crisis settings; providing services to individuals, families and couples. His clients have ranged from age 5 to 65. He is experienced with and is absolutely driven in helping his clients address depression, anxiety, family relationships, behavioral issues, trauma, couples’ issues, alcohol and drug issues, making life adjustments and life coaching. In addition to that, Justin has worked with the local CBS affiliate, WVLT, and NBC affiliate, WBIR, on many news stories as a mental health expert. 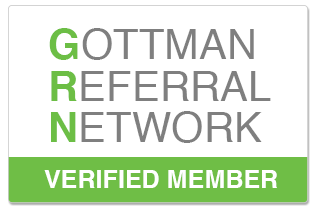 Justin also recently completed Levels 1 & 2 Gottman Method Couples Therapy training with Drs. John and Julie Gottman. Justin truly believes in a therapy model of client empowerment, and seeks to partner with his clients to arm them with the skills to address their issues." Dr. Devereaux is a licensed psychologist and has been helping people find peace, stability, and confidence in their lives even before completing his graduate studies in clinical psychology. He has worked in both the private and public sectors in a host of settings including universities, hospitals, private clinics, and jails. Most recently he served as a program manager within the VA system treating Veterans with a wide range of life challenges. Dr. Devereaux approaches therapy from a values-based perspective, guiding his clients to investigate and solidify their core values and work toward rebuilding their lives around these beliefs. He has an easygoing, warm demeanor and enjoys working with both adults and older adolescents. He has training and extensive experience working with most mental health issues including depression, anxiety, PTSD, bipolar disorder, and relationship problems. He has a strong value for family connections and recently transitioned from Dallas to Knoxville to be closer to his loved ones. He maintains a deep passion serving others both professionally and personally. Connect with a Knoxville Counselor today at 865-730-4171, to set up your first session and start the process to change.